What Can Obama Learn From Tiger!?! The new Golfers Digest hit newsstands, and the front cover will not be changed in leiu of Tiger’s many mistresses that seem to be popping up daily now. I’m not sure why these girls didn’t try to get their payday earlier! Now that Elin knows what’s up there are no more paydays coming! This cover has tons of unintentional comedy or maybe the Golfers Digest people are funnier than I ever thought. (Load it & Let it Go! How to Outsmart your Buddies. Tips Obama Can Take From Tiger.) Classic! Anyways, the article talks about how golf can be good for the economy, and the picture was actually photo shopped in case you were wondering if Obama actually had time to go golf. The Tiger Saga continues to unfold and keeps getting more fun to me at least, since I never truly liked the guy in the first place. Not to say I’m not impressed when he wins tourney’s or any of his accomplishments, just never liked him… We are doing the right thing and being true Americans, by bringing down Tiger. It’s the American way to bring down anything that is at the top! Here’s some Golfer’s Digest reader responses to the cover some of them are a little to serious for me. This entry was posted on Monday, December 7th, 2009 at 11:53 am	and tagged with Barrack Obama, family issues, golf, golfers digest, putting, Tiger Woods and posted in Sports. You can follow any responses to this entry through the RSS 2.0 feed. I don’t think that there’s anything that Obama can learn from Tiger. Woods is a naive idiot . Whereas Obama has too many pieces of coals on the fire and it’s liable to start a monumental blaze. Can’t put it anymore succinctly than that ! I would’ve rather seen one of those United Way commercials with Tiger and Obama, but that obviously didn’t happen! Maybe Obama will learn to cover his tracks better if he ever has an affair! Tiger has simply proven to me that a Stanford education isn’t all it’s cracked up to be ! Otherwise the dumb as_s wouldn’t have been caught cheating to begin with ! A Simple Twist Of Fate ….. The More You Think You Know The Less You Really Do Know ……. You suggest that the Giants have money to play for players ? Well if that’s the case then read this . Penny, Uribe turn down offer from Giants …. SAN FRANCISCO — Right-hander Brad Penny and infielder Juan Uribe have turned down one-year contract offers to return to the San Francisco Giants. General manager Brian Sabean said Friday the club made a one-year offer with incentives to Penny and a one-year offer with an option and buyout to Uribe, but both free agents declined. The Giants aren’t in further talks with either player right now. One of Sabean’s top priorities heading into next week’s winter meetings in Indianapolis is the catcher spot, but he acknowledged it could take a while for that position to get settled. Bengie Molina is a free agent and has said he wants a multiyear deal — and San Francisco doesn’t plan to offer anything beyond a year. The Giants have Buster Posey as their catcher of the future. If they can’t retain Penny , then what chance have they really got ? I grant you this you appear to be forever the optimist and that ain’t such a bad thing afterall. But what happens when reality sets in and things seemingly appear to the same ? I’ve yet to hear you pose that argument. I guess it all comes down to age at the end of the day ? San Francisco Giants decline salary arbitration for Bengie Molina ….. The Giants declined to offer salary arbitration to Bengie Molina, the clearest signal yet that they will have a different catcher on opening day. They also didn’t offer arbitration to their other free agents: outfielder Randy Winn, right-hander Bob Howry, left-hander Randy Johnson, right-hander Brad Penny, and infielders Juan Uribe and Rich Aurilia. The Giants are attempting to bring back Penny at a salary far less than what he would command in front of an arbitration panel. Molina, the Giants’ only Type A free agent, could have netted two draft picks if he were offered arbitration but declined and signed with another club. But if he had been offered arbitration and accepted, he would have returned on a one-year contract at a salary likely in excess of the $6 million he made last season. The Giants have top prospect Buster Posey knocking on the door and cheaper catching options on the free-agent market. The A’s offered arbitration to right-hander Justin Duchscherer. So much for the Giants having the wherewithall to keep some of its better players. Like I stated in a response they’re in the midst of major cost cutting exercise. The players they’re retaining for now are the players that have yet to hit their arbitration clock. Unfortunately they’ve still got that three legged brood mare in Barry Zito who’s costing them an arm and a leg at present. 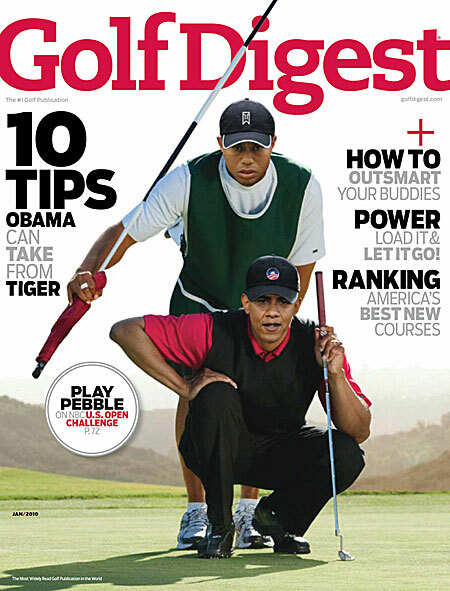 At this juncture I don't know that Obama would want any tips from Tiger . Nor do I believe that Magic Johnson should be offering Tiger any words of advice , given his past sexual indiscretions.